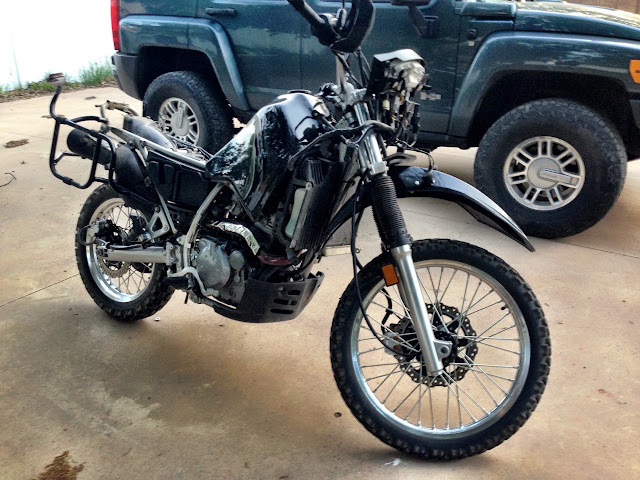 The initial tear down showed the good, bad and ugly. The good being the integrity of the main wiring harness and electrical in general, a new(ish) battery, a well-tended and stored fuel system and carb, good rubber - Shinko Trail Masters, and it runs perfectly. All fluids are fresh and level. 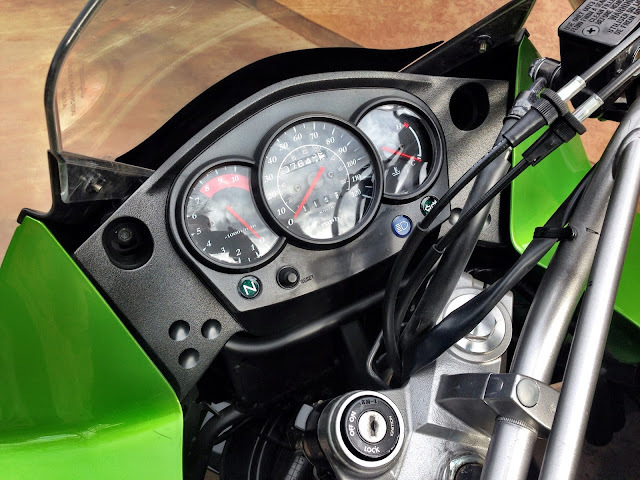 The bad is the shift of a fairing mount on the radiator reserve tank frame from a side hit of a fall - nothing serious, just a bit out of whack where the RH side fairing doesn't mate up to its mounts in a factory fit. The frame is fine. The left front turn signal has been supplemented with electrical tape. The ugly is the air filter which I doubt has ever been changed, along with the cosmetic scar-tissue of a previous rider too short for this bike. 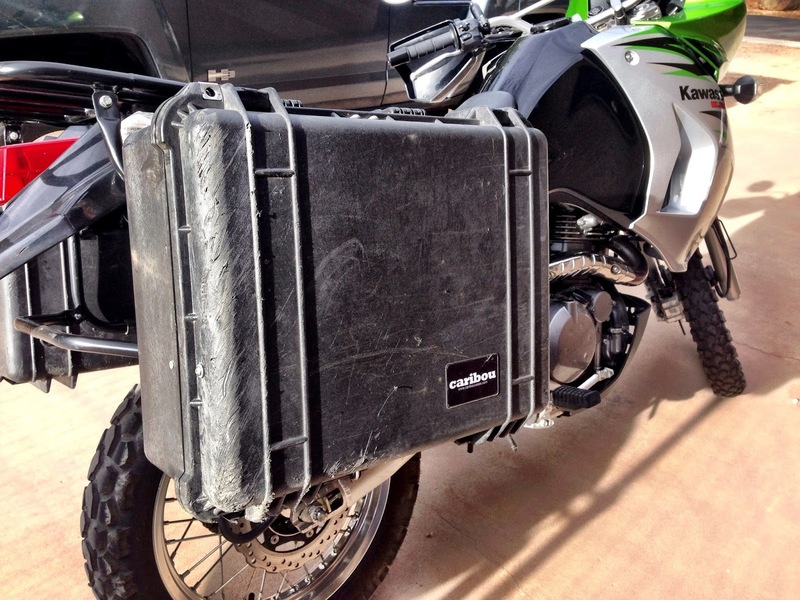 The KLR has a Caribou (Pelican Case) pannier system that is lockable. 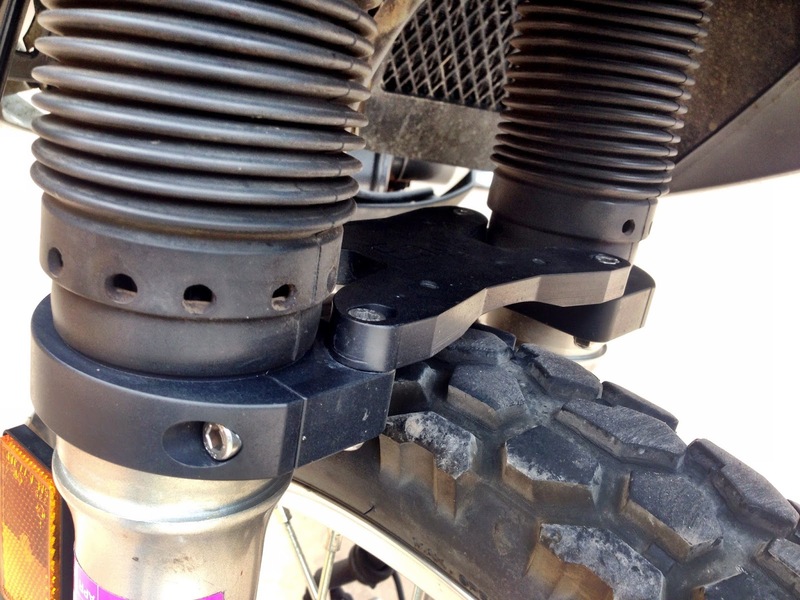 The system is design to have the cases breakaway in the event of a spill since the construction of the cases is more durable than the frame to which they're mounted. 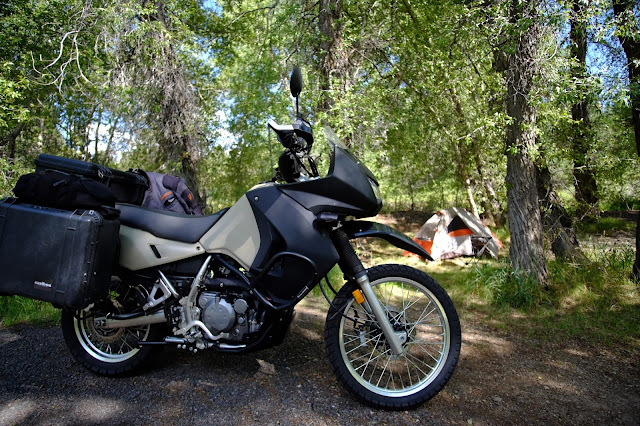 The engineering of the mounts needs some new hardware and a smack or two with a rubber mallet, but it won't take much to restore the ride and vibration integrity back to this luggage system. The case pictured above took the worst hit but it's still viable and waterproof. 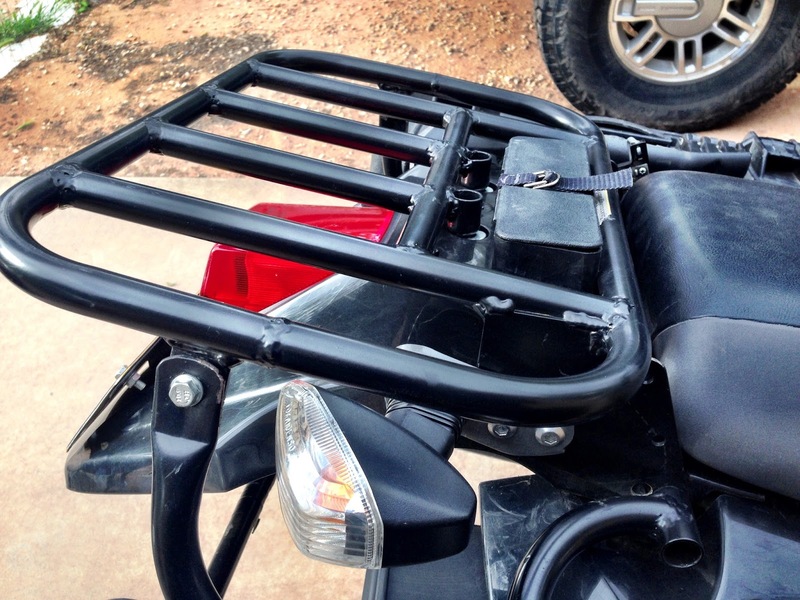 The rack works with a replacement for the KLR stock luggage rack aft of the seat. I'll be mounting a third Pelican case on this rack, moving the small tool box within it. The front forks have been fitted with an Eagle Stabilizer. Bonus. 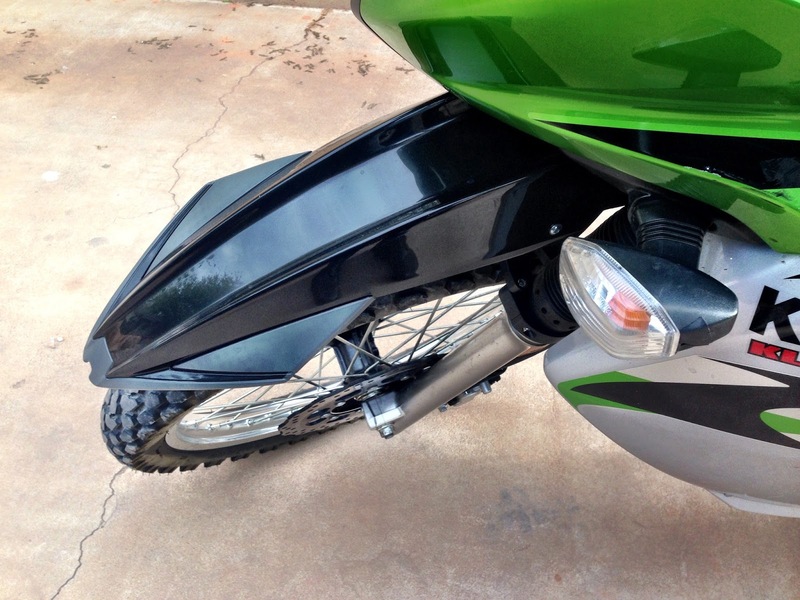 The stock front fender has been replaced as well with A Polysport UFX free flow fender. I'm planning on adding an AE Motorsports dash with a Ram mount for an iPhone, along with a spot for a USB port, a 12V charging socket and a switch for the fog lamps I'll be adding. Mastech Crashbars will be the first addition, though, throwing a little more protection around the front of the engine and radiator, along with a center stand. I'll be changing the color scheme as well, tone down the factory color to something more khaki, black and grey.